Unwashed jelly rolls strip together insanely fast. With cute results. 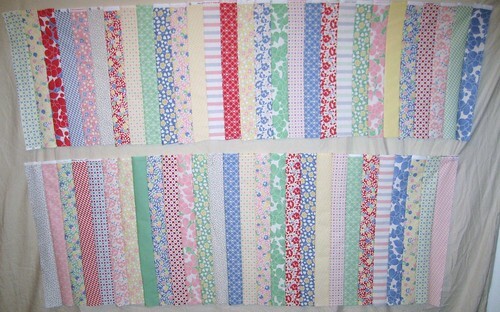 I can cut these up into smaller strips or leave them as two wider ones attached to a white background. Or something. Larger pieces of a lot of these fabrics are begging, pleading to be made into adorable retro aprons. <3 you so, so much.